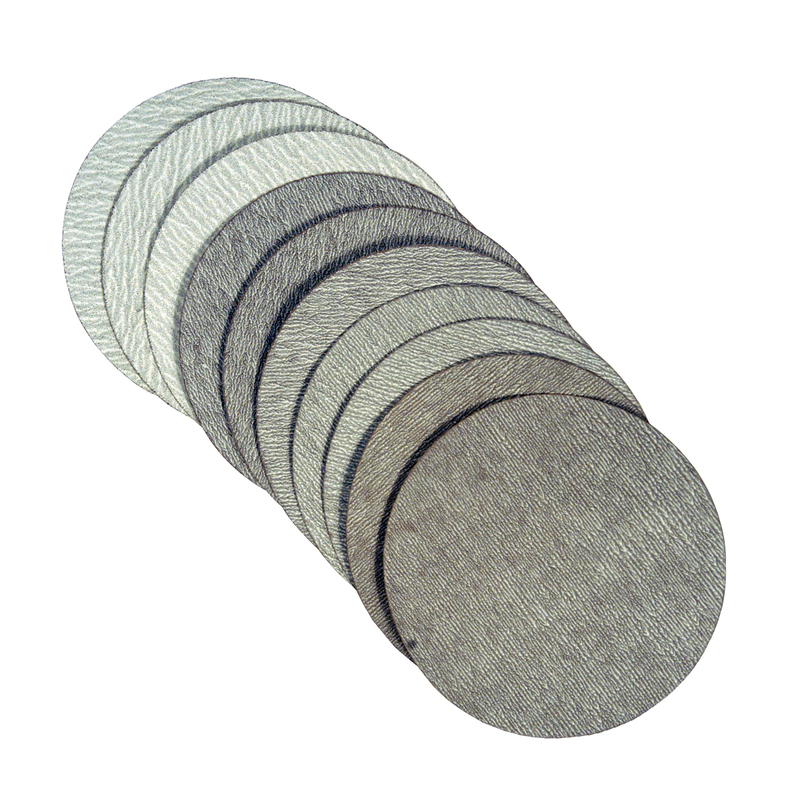 Campbell Hausfeld 6-inch sanding discs (MP515400AV) use a fast-cutting aluminum-oxide abrasive that’s resin bonded to a strong, flexible paper backing, making them ideal for sanding and removing paint from wood, metal and plastic. The back of each disc is coated with a pressure-sensitive adhesive to hold the discs securely to the sanding pad and prevent wrinkling and tearing. These sanding discs are specially designed for use with Campbell Hausfeld dual-action air sander models TL0504 and PL1504, but will also work with other dual-action sanders.